Donegal Racing and Rockingham Ranch’s defending winner Finnegans Wake heads a strong roster of accomplished turf veterans and exciting rising grass stars made eligible during the early phase of nominations to the 29th running of the $500,000 Woodford Reserve Turf Classic (Grade I), one of America’s top events for older grass stars and a racing highlight of a stellar racing program of seven graded stakes events headed by the $2 million Kentucky Derby Presented by Yum! Brands (GI) at Churchill Downs Racetrack on Saturday, May 7. The Peter Miller-trained 7-year-old son of Arlington Million (GI) winner Powerscourt (GB) heads a roster of 73 grass stars ages 4 and up made eligible to compete in the race with a payment of a $100 nomination fee during the race’s early nomination phase that concluded on Feb. 20. The Woodford Reserve, which is run at 1 1/8 miles on the Matt Winn Turf Course, will precede the main event on the spectacular Kentucky Derby celebration at Churchill Downs on Saturday, May 7. The race’s late nomination phase is underway and owners and trainers can nominate their horses with payment of a $1,000 fee before that window closes on at 11:59 p.m. (all times Eastern) on Wednesday, April 13. After that, supplemental nominations can be made with a payment of $15,000 at the Turf Classic’s time of entry on Wednesday, May 5. The Woodford Reserve Turf Classic is limited to 14 starters, with preference given to winners of graded turf stakes and, after that, highest earnings in stakes races on turf in 2015-16. A total of 76 horses were nominated to the Turf Classic in 2015, a number that included two late nominees. 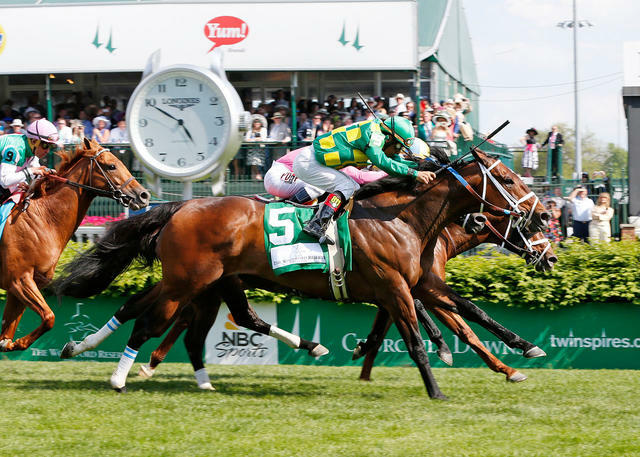 Finnegans Wake prevailed by a head in a dramatic three-way battle in the 2015 Woodford Reserve that included John C. Oxley’s runner-up Sky Captain and Gary Barber’s Jack Milton, who finished a head farther back in third. Stewards disqualified Sky Captain for interference with fourth-place finisher Seek Again and he was placed fourth in the official order of finish. 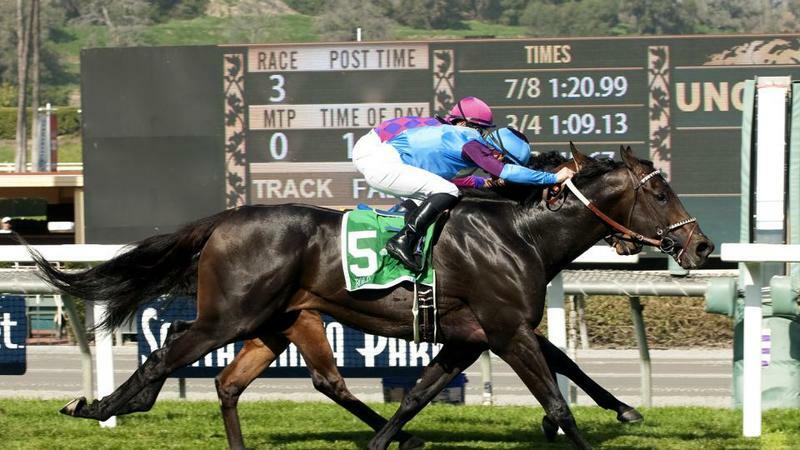 The Grade I Woodford Reserve triumph was the high point of a career resurgence by Finnegans Wake, who had earlier won the Hollywood Turf Cup (GII) in late 2014 and Grade II wins in the 2015 San Gabriel and San Marcos at Santa Anita. 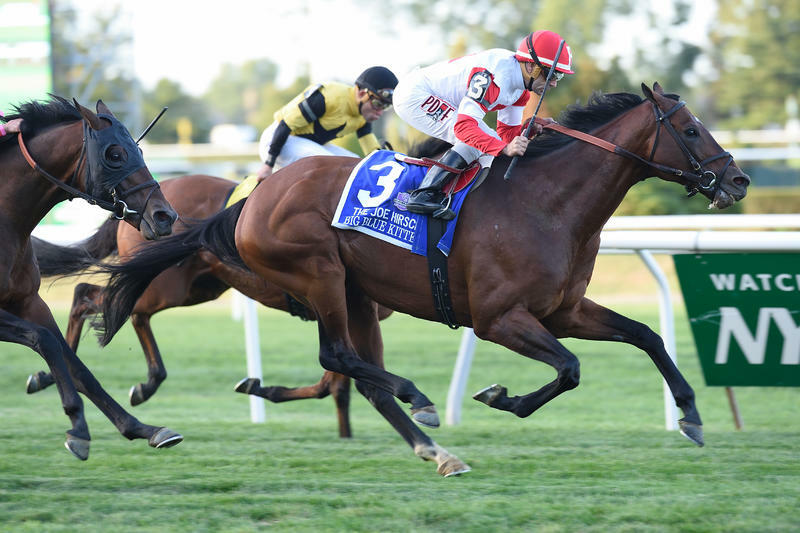 Other strong 2015 performances by the versatile veteran included a fourth-place run in the Knob Creek Manhattan (GI) at Belmont Park and another fourth on dirt in the Gold Cup (GI) at Santa Anita. 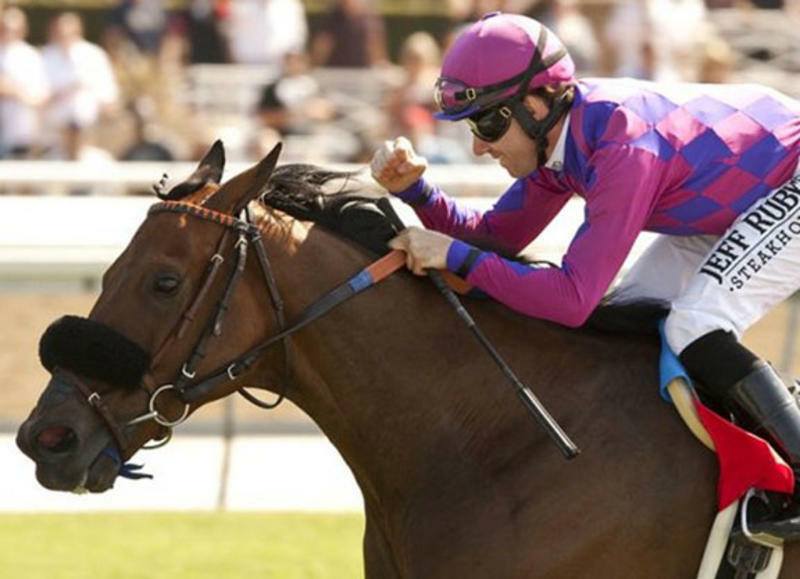 He completed his season in mid-July with a third-place run in the Eddie Read (GII) on turf at Del Mar. Last year’s exploits by Finnegans Wake lifted his career record to 7-4-4 in 32 races with earnings of $1,545,975. His seven races in 2015 resulted in a record of 3-1-1 with earnings of $720,600. Other headliners on the roster of Woodford Reserve nominees include Midwest Thoroughbreds Inc.’s The Pizza Man, a career earner of $1,908,722 and winner in 2015 of Arlington Park’s Arlington Million (GI) and Stars and Stripes (GIII), Del Mar’s Hollywood Turf Cup (GII) and Churchill Downs’ Opening Verse; Ken and Sarah Ramsey’s Big Blue Kitten, the Chad Brown-trained winner in 2015 of Belmont Park’s Joe Hirsch Turf Classic (GI) and Fort Marcy (GIII) and Monmouth Park’s United Nations (GI); Anthony Fanticola and Joseph Scardino’s multiple Grade I winner Obviously (IRE), a two-time winner of the Shoemaker Mile (GI); Susan and Jim Hill’s Grand Arch, winner of Keeneland’s Shadwell Turf Mile (GI) and Saratoga’s Fourstardave (GII) in a 2015 campaign that concluded with a third-place run at Keeneland behind champion Tepin in the Breeders’ Cup Mile (GI); Gunpowder Farm’s Divisidero, a dramatic winner of Churchill Downs’ American Turf (GII) in the highlight of his 3-year-old campaign for trainer William “Buff” Bradley; Golden Pegasus Racing and Earle I. Mack’s Bolo, an upset winner over Obviously in the 2016 debut for both in the Arcadia (GII) at Santa Anita; Sareen Family Trust’s Om, third to Bolo in the Arcadia and a 2015 winner of the Del Mar Derby (GII) and Santa Anita’s Grade II Twilight Derby and Mathis Brothers Mile; Terry Hamilton’s Heart to Heart, winner of Gulfstream Park’s Canadian Turf (GII) and Ft. Lauderdale (GII) in 2016 and unbeaten in three stakes races at Churchill Downs that include the 2014 Jefferson Cup (GIII) and Commonwealth Turf (GIII) and 2015’s River City Handicap (GIII); Al Shaqab Racing’s Mshawish, the Todd Pletcher-trained winner of the 2016 Donn (GI) and Hal’s Hope (GIII) handicaps on dirt and the 2015 Gulfstream Park Handicap (GI) and Fort Laurderdale (GII) on turf; and Colts Neck Stables’ Belmont Derby (GI) winner Force the Pass. Also on the nomination list is Phipps Stable’s Reload, the Shug McGaughey-trained winner of the recent Tampa Bay Stakes (GIII) on turf at Tampa Bay Downs. The roster also features the 2-3-4 finishers in the Tampa Bay: Earle I. Mack, Wachtel Stable and Brous Stable’s runner-up Take the Stand (ARG); Melnyk Racing Stable’s third-place Karibu Gardens and Sky Captain, who finished fourth in his first race of 2016 for trainer Mark Casse. 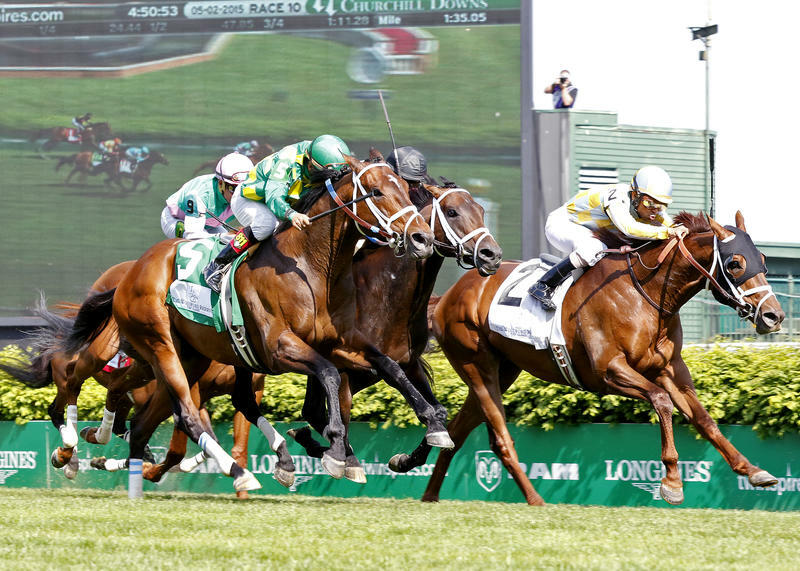 Other accomplished Turf Classic nominees include St. Elias Stable and West Point Thoroughbreds’ Ring Weekend, winner of the 2015 Kilroe Mile (GI) at Santa Anita; Claiborne Farm and Adele Dilschneider’s Departing, winner of the 2015 Grade II Firecracker Handicap (now named the Wise Dan) at Churchill Downs; Ronald Kirk, John Bates and Michael Riordan’s Are You Kidding Me, the Roger Attfield-trained winner of Woodbine’s Grade II Autumn, Nijinsky and Eclipse handicaps; Wentworth Brochu’s Chocolate Ride, the Brad Cox-trained winner of the Grade III Fair Grounds and Col. E.R. Bradley Handicaps at Fair Grounds; Skychai Racing’s Da Big Hoss, winner of the 2015 Kentucky Turf Cup (GIII) at Kentucky Downs and the 2016 John B. Connally (GIII) at Sam Houston Park; Starlight Racing’s Itsaknockout, the winner of the 2015 Fountain of Youth (GII) who ran ninth in the Kentucky Derby; Gestut Brummerhof’s Messi (GER), winner of the 2015 Knickerbocker Handicap (GIII) at Belmont Park; Marjorie Post Dye, A Venneri Racing and Little Red Feather Racing’s Midnight Storm, winner of Del Mar’s 2015 Seabiscuit Handicap (GII) and the Del Mar Derby (GII) in 2014; and Team Valor and Gary Barber’s Triple Threat (FR), winner of the 2015 Monmouth Handicap (GII). The winner of the upcoming $300,000 Muniz Memorial Handicap (GII) on March 26 at Fair Grounds will earn an automatic berth, which includes nomination and starting fees, for both the Turf Classic and the 2016 Arlington Million (GI) on Aug. 3 at Arlington Park. 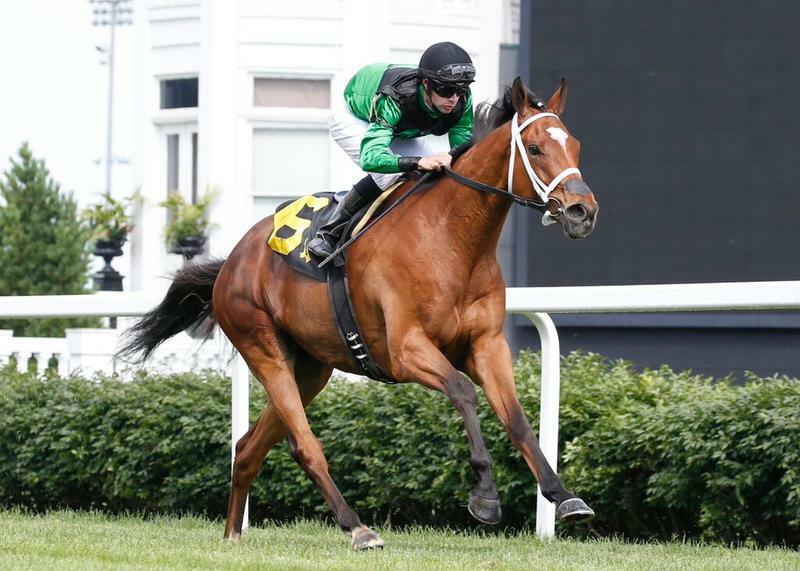 The winner of the Woodford Reserve Turf Classic also will be granted an automatic berth in the Arlington Million. 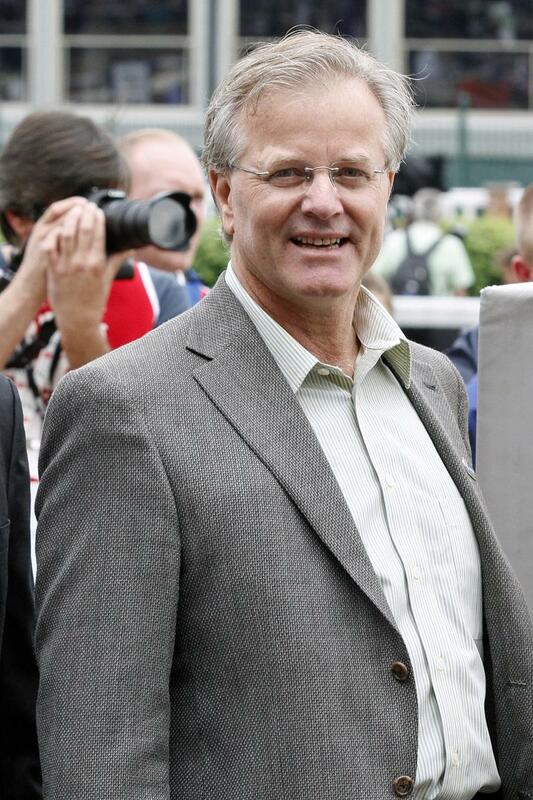 Hall of Fame trainer Bill Mott, Churchill Downs all-time leader in total victories and stakes wins by a trainer, leads all trainers with 10 Turf Classic nominees. Mott won the Woodford Reserve with Paradise Creek (1992) and Stroll (2004) and is tied with Wise Dan’s Charlie LoPresti, Helen Pitts-Blasi and Richard Lundy for the most career victories in the race. Chad Brown, who is searching for his first Woodford Reserve victory, trains seven nominees, and Todd Pletcher, who won the 2006 renewal with English Channel, has nominated six horses to its 2016 running. Ken and Sarah Ramsey, the Nicholasville, Ky. couple that is Churchill Downs’ all-time leader in victories, led all Turf Classic owners with five nominees. The Ramseys are pursuing their first victory in the Turf Classic. The partnership of Klaravich Stables and William Lawrence nominated four horses to the race, while Phipps Stable made three horses eligible. The Woodford Reserve Turf Classic made an auspicious debut in 1987 when reigning Eclipse Award turf champion Manila won its inaugural running. Manila had won a star-studded running of the Breeders’ Cup Turf the previous year in which he defeated Theatrical, Estrapade and European hero Dancing Brave. Two-time Horse of the Year, two-time Eclipse Award turf champion and two time champion older horse Wise Dan became the Turf Classic’s second two-time winner when he collected back-to-back triumphs in 2013-14. Along with Manila and Wise Dan, American turf champions that have competed in the Turf Classic include Paradise Creek, who won the race during his 1994 championship season, and 1992 Eclipse Award winner Sky Classic, runner-up to Cudas in that year’s running. 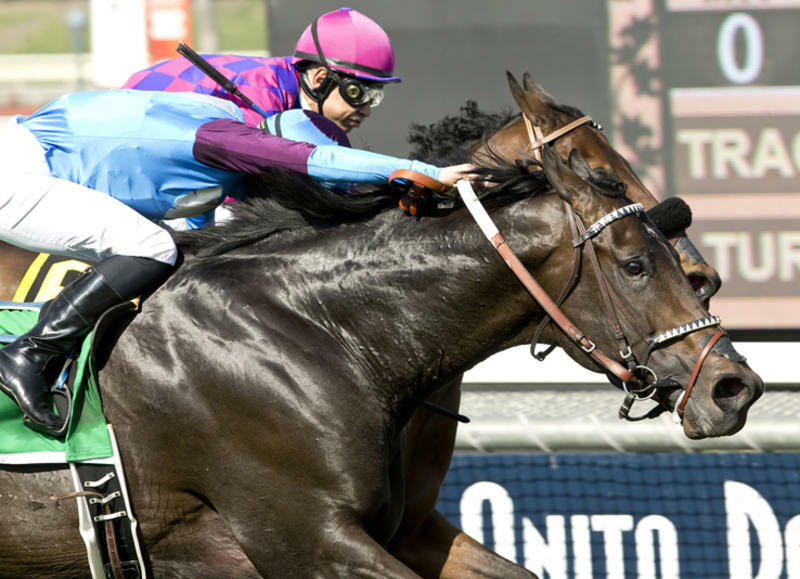 The versatile Einstein (BRZ), a son of 1985 Kentucky Derby winner Spend A Buck, became the Turf Classic’s first two-time winner when he took back-to-back runnings in 2008-09. He was a finalist for the Eclipse Award for turf champion in 2008 and outstanding older male in 2008-09. Einstein also won Churchill Downs’ 2008 Clark Handicap Presented by Norton Healthcare (GI) on dirt and the 2009 Santa Anita Handicap (GI) over a synthetic Cushion Track surface. James T. Scatuorchio’s English Channel, winner of the 2006 Turf Classic, finished third in that year’s running of the Breeders’ Cup Turf (GI) at Churchill Downs. He returned to win that Breeders’ Cup race the following year at Monmouth Park and was named 2007’s Eclipse Award Male Turf champion. Priscilla Vaccarezza’s Little Mike won the Woodford Reserve in 2012, a year during which the Dale Romans-trained gelding also won the Arlington Million (GI) and Breeders’ Cup Turf (GI). Little Mike was one of three finalists for the Eclipse Award for U.S. turf champion won by Wise Dan. CLICK HERE to view the roster of nominations to the 2016 Woodford Reserve Turf Classic.